In the lead up to the 2014 World Cup in Brazil, I wrote a short piece on the legendary Johan Cruyff and his impact on the 1974 World Cup. With the sad news this morning that the Dutch maestro has died of cancer at age 68, I thought it appropriate to re-post that article for Throwback Thursday. Our thoughts are with Mr. Cruyff's family and friends at this time. In the long history of football, how many players have had a move named after them and, on top of that, have had their name become synonymous with an entire system of play? 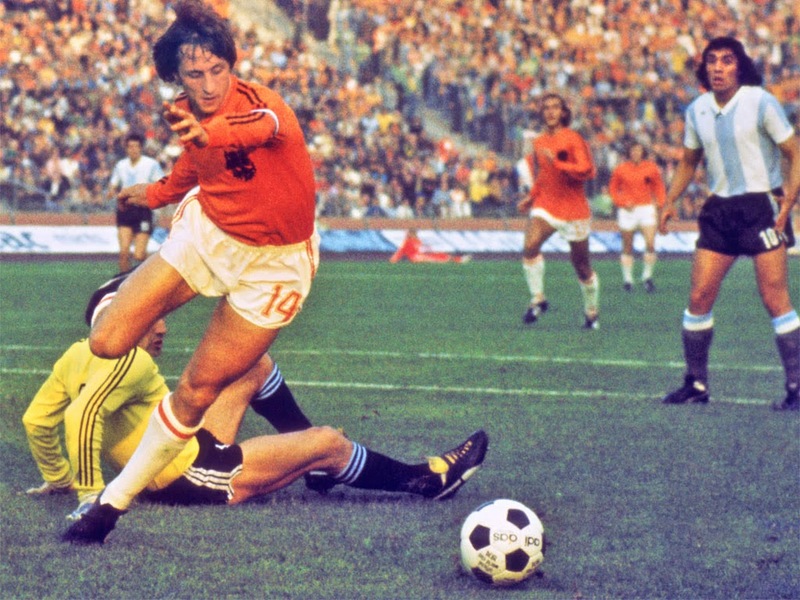 Thanks to the great Johan Cruyff, and the brilliant Dutch side he led to the 1974 World Cup Final, the Cruyff Turn and Total Football are integral parts of the football lexicon. Prior to the late 1960's, the Netherlands were considered to be minnows of European football, often suffering humiliating defeats in internationals. With the advent of a professional league in 1954, and the subsequent emergence of Feyenoord and Ajax as top European sides, the Dutch National side began to build some momentum in the early 1970's and would become a surprising major player on the world stage. 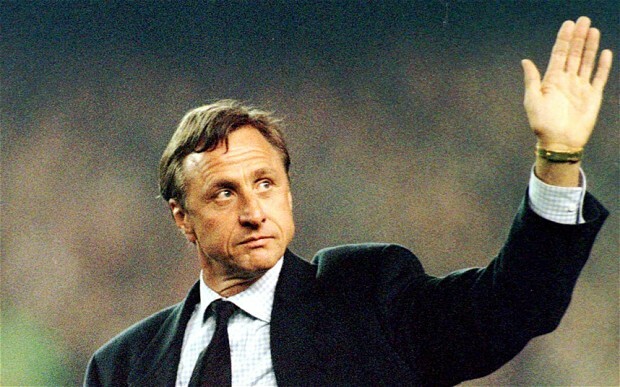 In order for this system to truly work, it needed an orchestrator and there was no one better suited to this role than the brilliant Johan Cruyff. 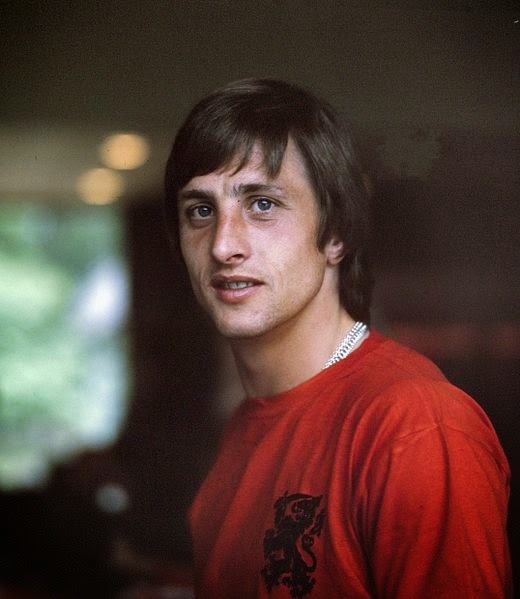 Joining Ajax's famous youth academy at the age of ten, Cruyff was already a three time Ballon D'Or and European Cup winner by the time he led the Netherlands into the 1974 World Cup. A strong, vocal presence on the pitch, Cruyff served as coach Rinus Michels on pitch general, along with effortlessly floating between wings, into a withdrawn midfield role and then upfront to finish off attacks. He was the perfect model of the "Total Footballer", as he was comfortable in taking on different roles during different situations in a match. In the World Cup Final against the hosts, West Germany, Cruyff took the ball from the kickoff and displaying the type of football that won this great Dutch side so many fans, the Oranje passed the ball around 13 times, before Cruyff burst into the box and was upended for a penalty. Without a single German player touching the ball, Johan Neeskens scored from the spot to give the Dutch the lead. Unfortunately for Cruyff and company, West Germany got back into the match through Paul Breitner and Gerd Muller, while Berti Vogts and Franz Beckenbauer shackled Cruyff for the remainder of the match.